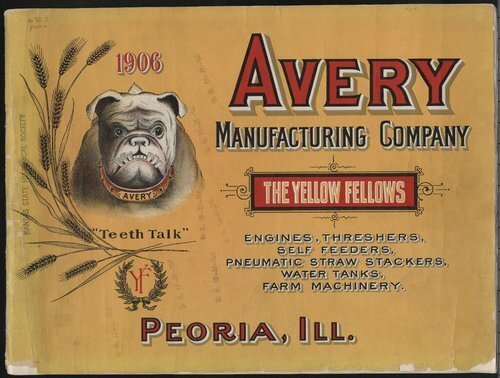 This catalog was published by Avery Manufacturing Company advertising their engines, threshers, self feeders, pneumatic straw stackers, water tanks, and farm machinery. All of the pages of the catalog have illustrations and text about the equipment being advertised. There is an index on page 64 and the front and back covers are in color. The company was located in Peoria, Illinois, but it is assumed the catalog was distributed to Kansas farmers.